The builders of an award-winning home made from hemp hope to inspire a shift towards making it a mainstream construction material. 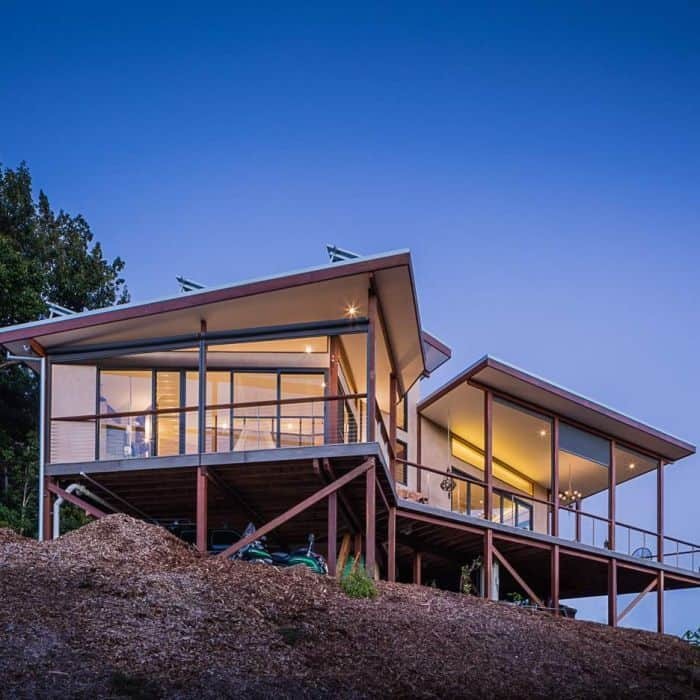 Balanced Earth recently won the Master Builders New South Wales Energy Efficient Building award for a home in the Byron Bay hinterland, in northern New South Wales. Architect Michael Leung said while industrial hemp was popular in textiles, there was a growing interest in using the cannabis sativa plant in buildings. 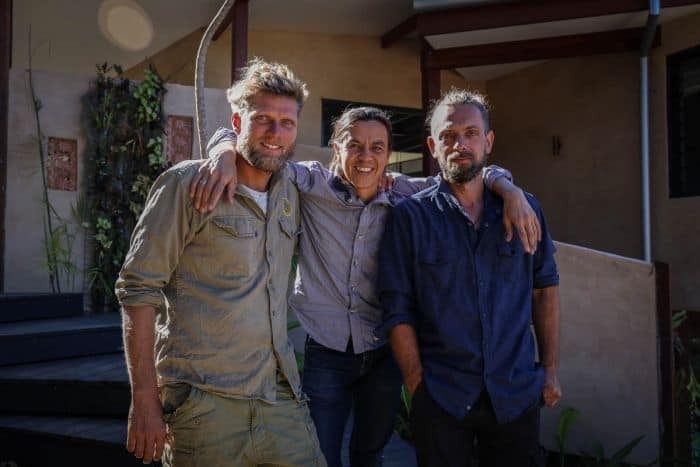 “I think we’ve just hit the hemp industry at the right time, and in Byron Bay there’s a real consciousness and responsibility to the environment so it’s just seamlessly flowed together,” he said. Builder Luke Wrencher said hemp’s most positive attribute was its sustainability. “When you grow the hemp it takes the carbon out of the atmosphere and it stores the carbon in that fibre and you process it and lock the carbon up into the building, so at that point it becomes carbon negative,” he said. 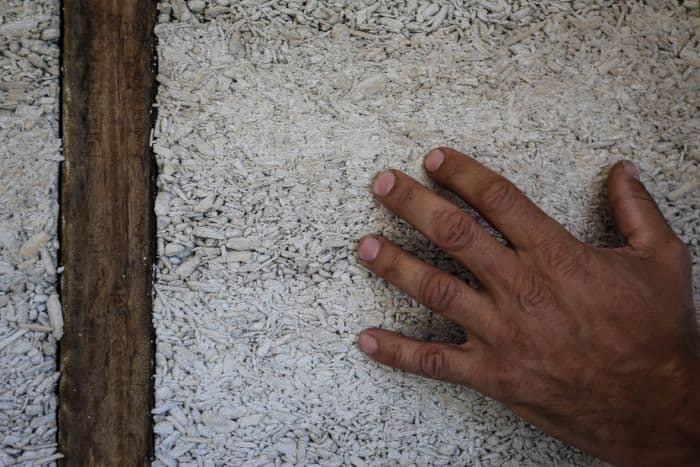 To use hemp in construction, the builders take the chopped hurd, that is the inner woody core, and mix it with lime and sand to create a substance they have dubbed “hempcrete”. In the award-winning Byron hinterland home, the builders constructed frames from recycled timber to hold the hempcrete walls. “The actual packing of the hemp is very easy to do, kids, children, wives, husbands, anyone can do it,” Mr Wrencher said. The set walls have a texture similar to rendered concrete. Mr Leung said he began looking into hemp after his wife’s father died from mesothelioma, an asbestos-related illness. “We moved to Byron and wanted to build our dream home and my wife was adamant we weren’t going to use any toxic materials,” he said. Mr Leung said hemp had proven to have outstanding thermal and acoustic properties. “It’s not just an insulator, it buffers temperature and humidity and prevents damp and mould growth,” he said. Mr Leung said the company’s goal was to make hemp commonplace in the Australian construction industry. He said the cost was comparable to conventional building products and could potentially be lowered if greater quantities of industrial hemp were grown commercially. “Our vision is to really get hemp into mainstream construction and design,” he said. “We’re leading the way in terms of design and builds in this country in hemp and we’ve only done eight builds and a number of feature walls.